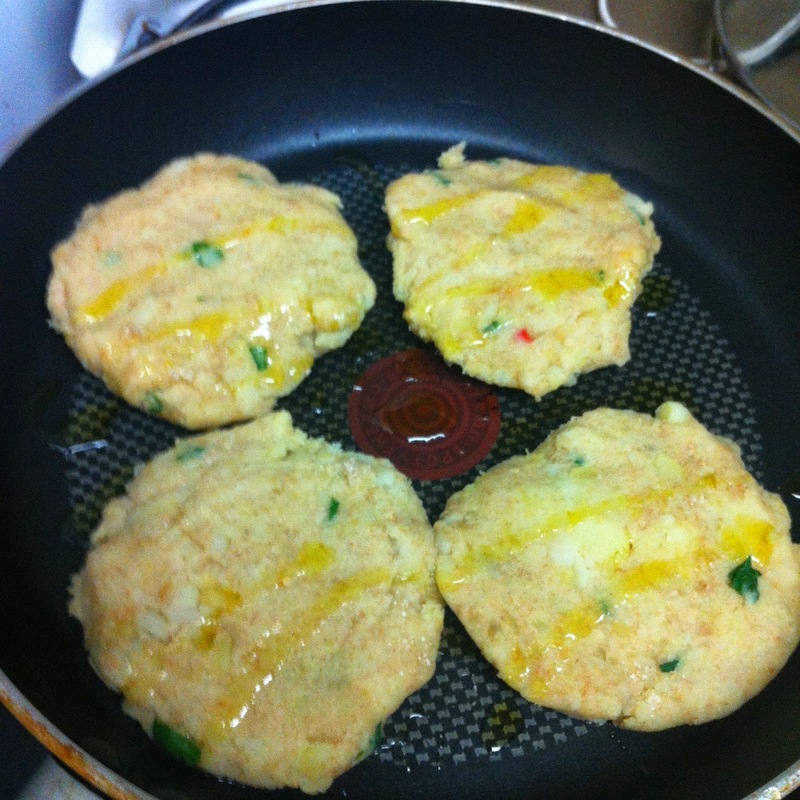 The spiciness is optional (just omit the hot red pepper) in this delicious sweet potato cake. 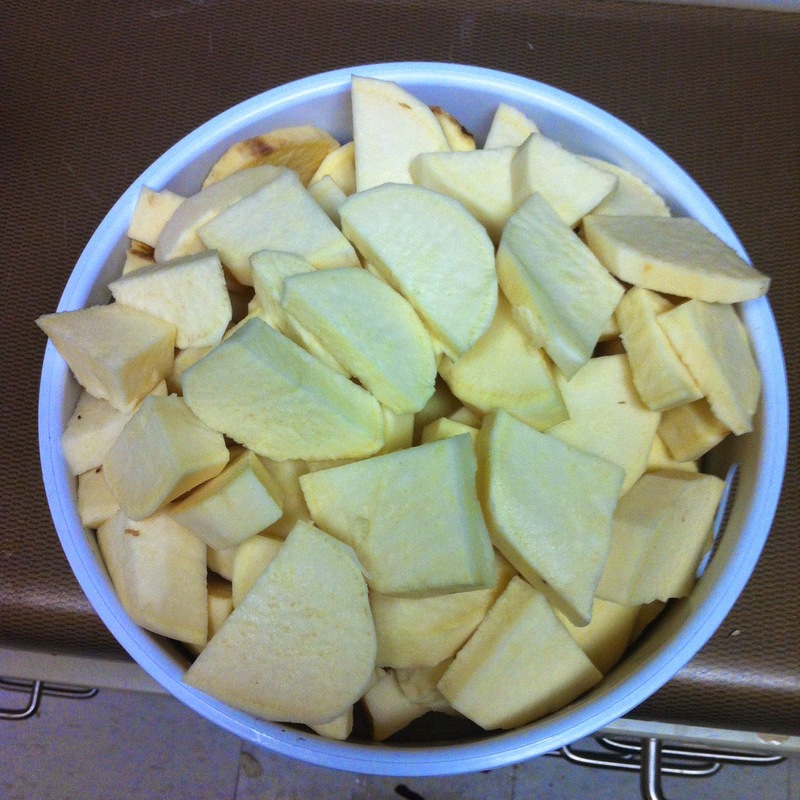 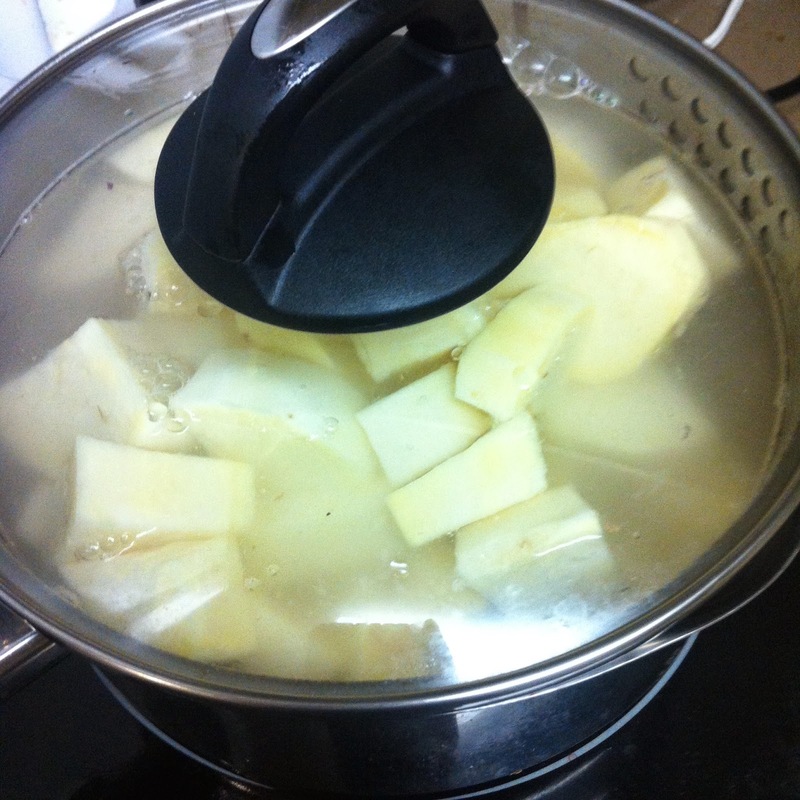 Skin and slice the sweet potatoes into small pieces then boil the potatoes for five to seven minutes or until fork tender. 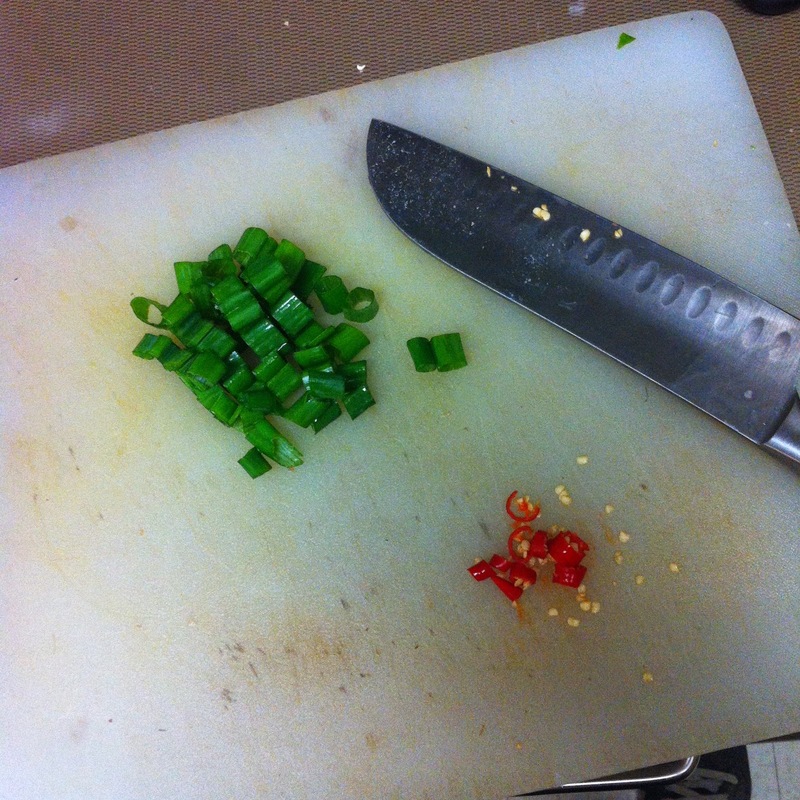 While waiting for the sweet potatoes to boil, slice green onions and chilli pepper, removing all the seeds from the pepper. 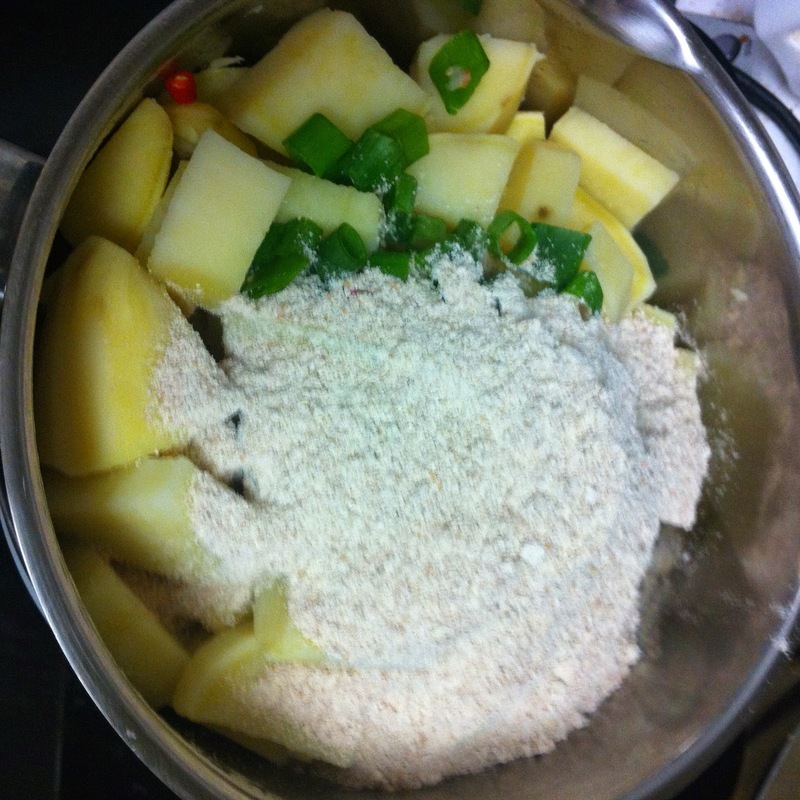 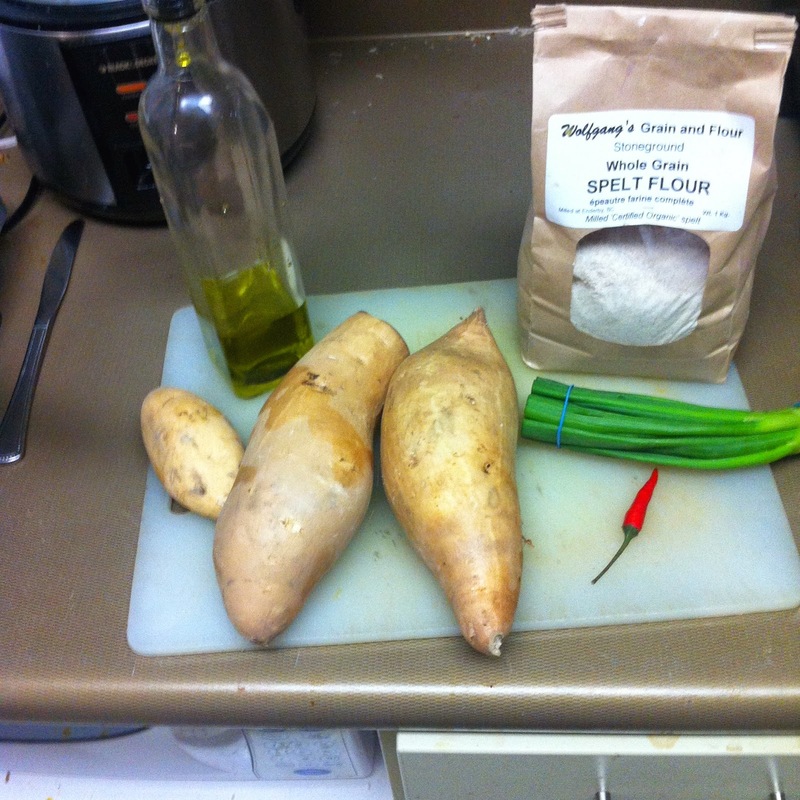 Then, add flour (I used spelt flour because of it's slightly nutty taste and I happened to have it on hand), green onions, soy sauce, and hot red pepper to the pot with drained potatoes. 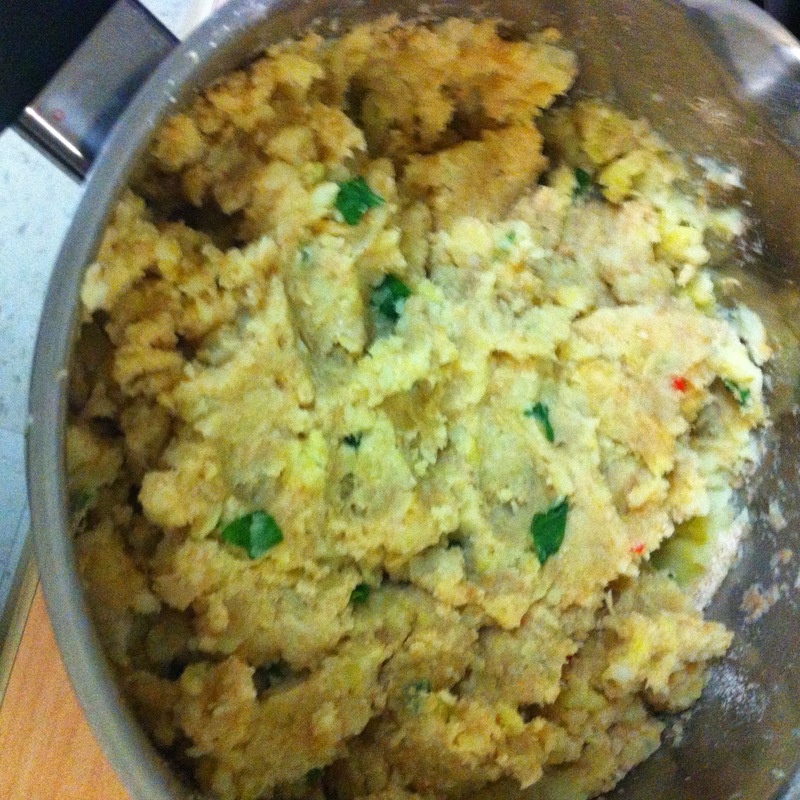 Mash the mixture until it is smooth and there are no inconsistencies. 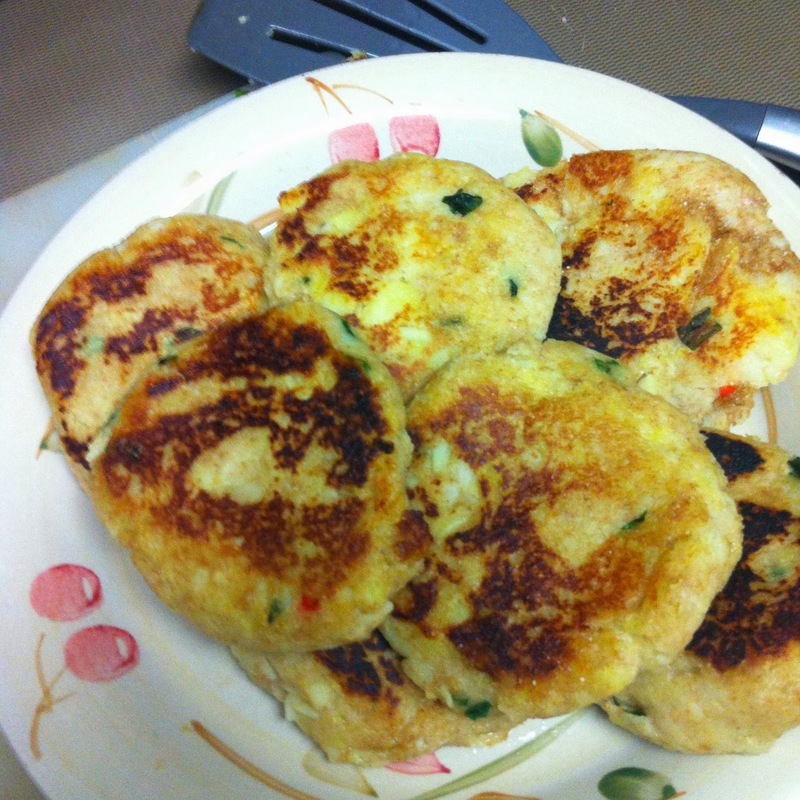 It should be sticky, not runny, if it's runny then add more flour. 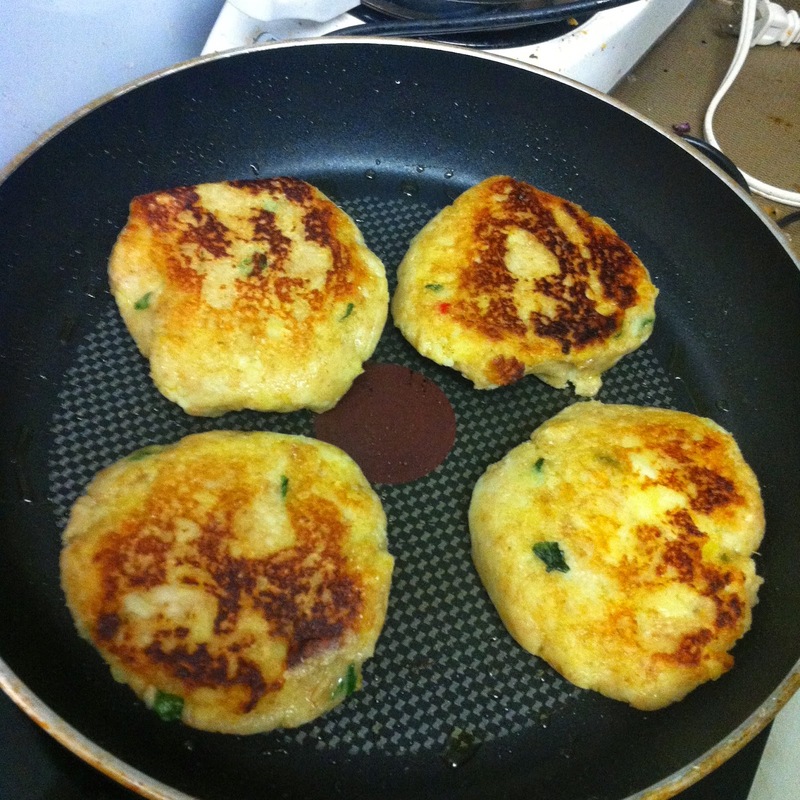 Then, shape into patties and fry in a pan for less than two minutes each side or until golden brown!